It's been a loooong winter this year, especially when it's spring and it seems like winter, it's still sooo cold. The weather forecast keeps saying the temperatures will continue to be below normal, until next week end when it's supposed to be in the 70's, but then it will get chilly again annnd there are people who say there's no global warming and no pollution. Sigh!!! I know, I know, I'll be the first one complaining when the weather gets so humid that I become AC bound, so I guess I'll just have to accept the weather because I can't do anything about it anyway! Jelly beans have a history that goes way back to the 1800’s, that's the year they were first made. It's believed that the first bean was inspired by the yummy candy called Turkish Delight, made of flavorful fruit and powdered sugar. Did you know that the term Jelly Bean was used to describe electronic equipment? It was also used to describe a young male who would dress in the latest fad to attract a woman, but once he caught her eye, he had nothing else to offer. Harry Potter made this tiny bean more popular with,”Bertie Bott’s Every Flavor Bean,” with some of the grossest flavors like earwax, vomit, sausage, rotten egg and more. When you ate these beans, you never knew what you were getting till you put it into your mouth. Looking for fun things to do this month? 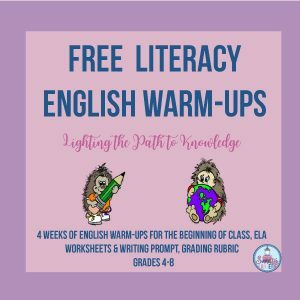 How about poetry and writing activities that have to do with this infamous little bean! Stick around, I’ve got some great ideas for you. Take a look below! THERE'S A NEW CANDY STORE in town that wants you to come up with a new flavor for jelly beans. 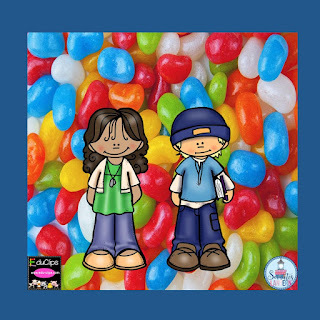 What are the ingredients, what is the recipe., what does your new jelly bean look like, and how does it taste? Use colorful adjectives to describe it. PUT DIFFERENT FLAVORS OF JELLY BEANS INTO A BAG. Go around the room and have each child pick one and without looking at it, eat it. They will then write a poem using adjectives to describe it using their five senses. ADJECTIVE PRACTICE, give every student a jelly bean and they are to write down 3-5 adjectives to describe it. Go around the room and have everyone say their adjectives out loud, the rest of the class must guess what type of jelly bean that person is describing. YOU ARE AT WALMART and a strange looking lady gives you 3 magic jelly beans, what do you do with them? Write a story about what happens. YOU GO TO SLEEP and wake up in a land made of jelly beans. Why are you here? Is it real, or a dream? Write a story about your experience here. Use descriptive adjectives to paint a vivid picture of this adventure. YOU ARE A JELLY BEAN! What do you look like? How does it feel? What happens to you? Write a story about this. MAKE UP A RAP or write a Jelly Bean song. 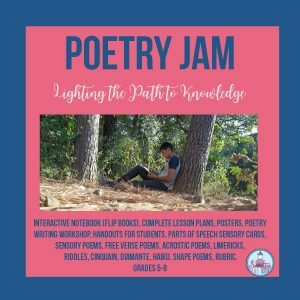 APRIL IS POETRY MONTH and I want to help you inspire your students with these engaging and creative poetry activities that they’ll love. 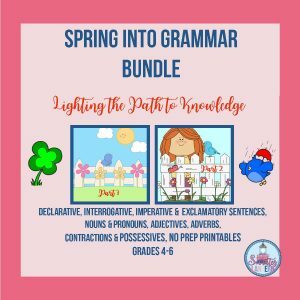 If you're in need of some grammar activities, I have you covered. Just click on the image. Autism: We’re Aware. But Do We Really Get It? When Should You "Make the Switch"? 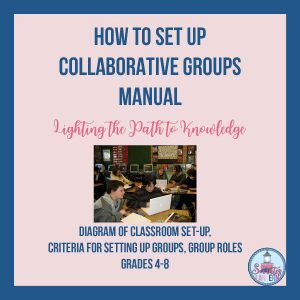 Putting Primary Sources in Your Students' Hands!